Congratulations JPOs on your 100% score at the JPO field day! Inspire students to become successful citizens who contribute to a global society. Mililani Waena’s mission is to improve student achievement by meeting our school-wide needs. 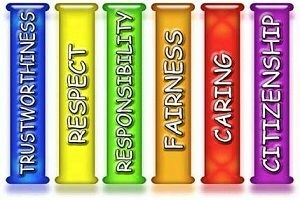 Recognizing that students learn in a caring environment, we promote the TRRFCC (Trustworthy, Respectful, Responsible, Fair, Caring, Citizenship) character traits. Learning occurs at various rates and through different styles. Learning events should be connected to life experiences. Annual Notification of Privacy Rights: Know your privacy rights as they apply to 1) student record information; 2) directory information; 3) surveys and other information collection; and 4) military recruitment information. For more information on your privacy rights, the laws that protect them, and how to exercise your rights, contact your school administrator or visit https://bit.ly/FERPAHI.